As befits a game endorsed by Cristiano Ronaldo - a player who embodies the skill and grace of top level football - PES 2013 Pro Evolution Soccer sees the series returning to its roots, with the emphasis on the individual skills of the world's best players, and giving the player the total freedom to play any style of ball, which includes for the first time full control over shots. This follows further consultation with both football and PES fans alike, and the result is the most faithful recreation of modern day football to date, with players modeled to match the running motions, abilities and playing styles, and the flicks and turns of their real-life counterparts. 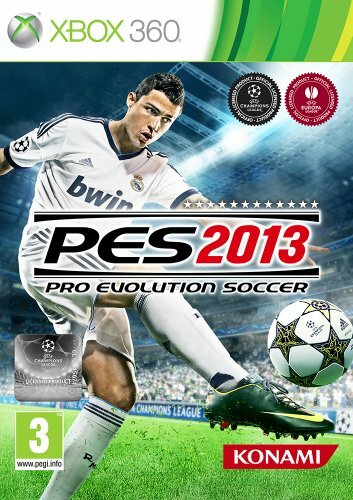 PES 2013 Pro Evolution Soccer will also boast better connectivity and atmosphere. The popular myPES application will extend the connectivity and communication between Facebook-using PES fans, while the game's audio effects are being tied closer to the on-field action to provide the kind of buzz seen at top-tier matches, with crowds growing in excitement as their team starts to exert pressure.